When my friend Amanda asked me to be a bridesmaid in her upcoming wedding, I was beyond excited! 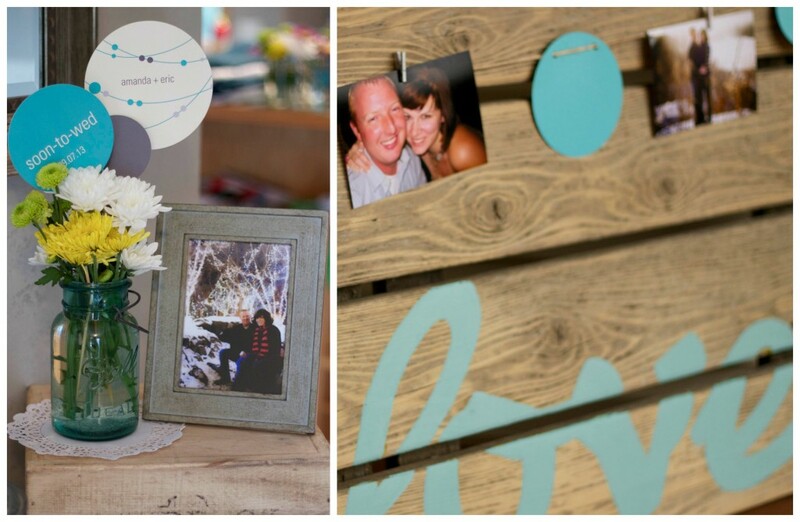 To make things even better, she let me host a couple’s shower for her and her future husband, and I had so much fun coming up with couples shower ideas! Like every event that I plan, the invitations set the theme of the party. I decided on Pear Tree Greetings’ Simple Strands bridal shower invitation and was able to alter the colors to match the shower’s color scheme. 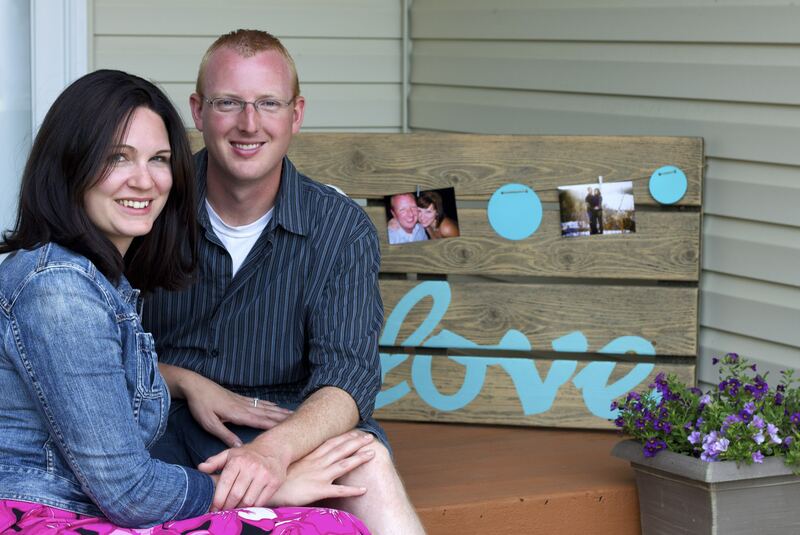 The Name in Lights yard sign greeted guests, along with a wooden pallet adorned with Simple Strands bridal shower decorations and pictures of the happy couple. The Simple Strands decorations were used throughout the entire event as accessories in mason jars and labels for drinks. 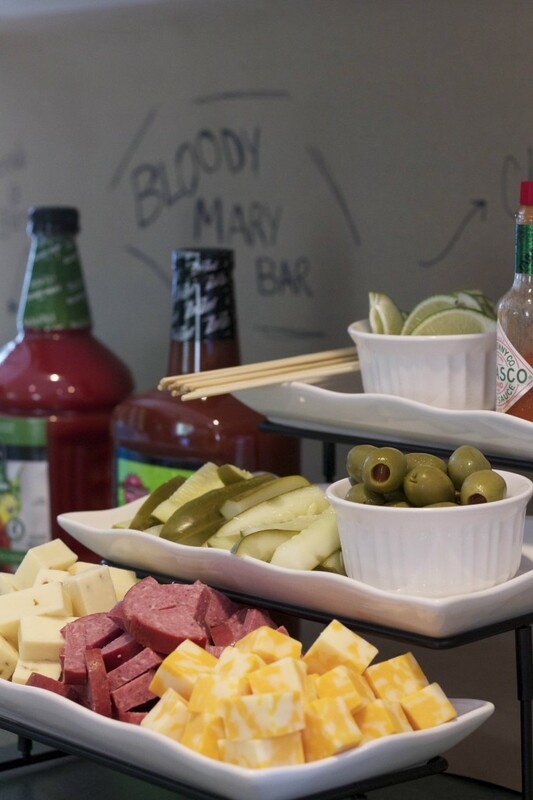 After writing down a few date night ideas for the couple, guests grabbed a drink from the bloody mary and juice bars. 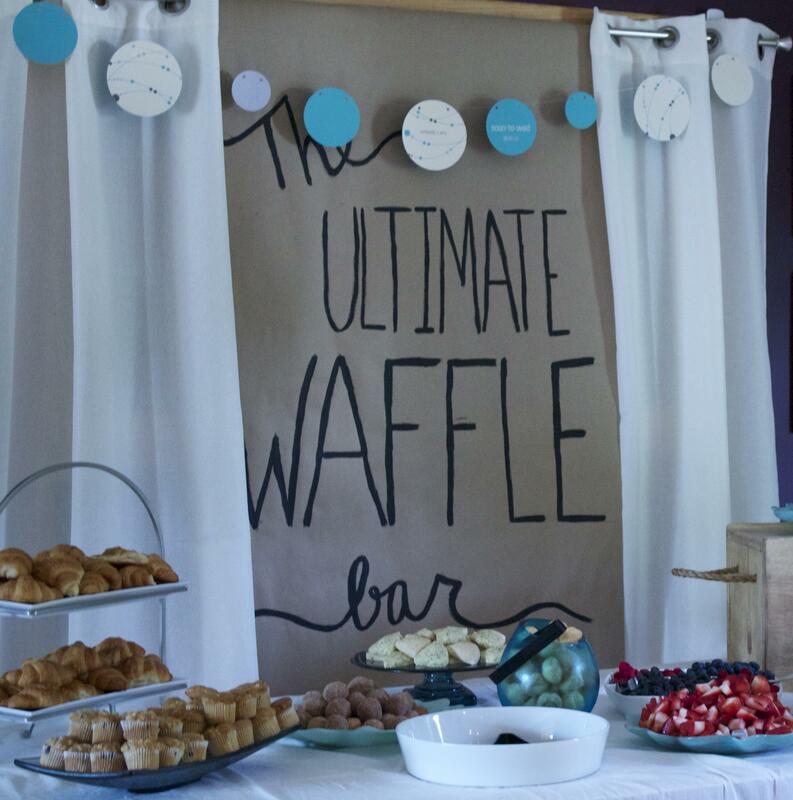 The brunch-inspired party consisted of a homemade waffle bar, complete with fresh fruit, walnuts, peanut butter, whipped cream, and chocolate and maple syrups as toppings. 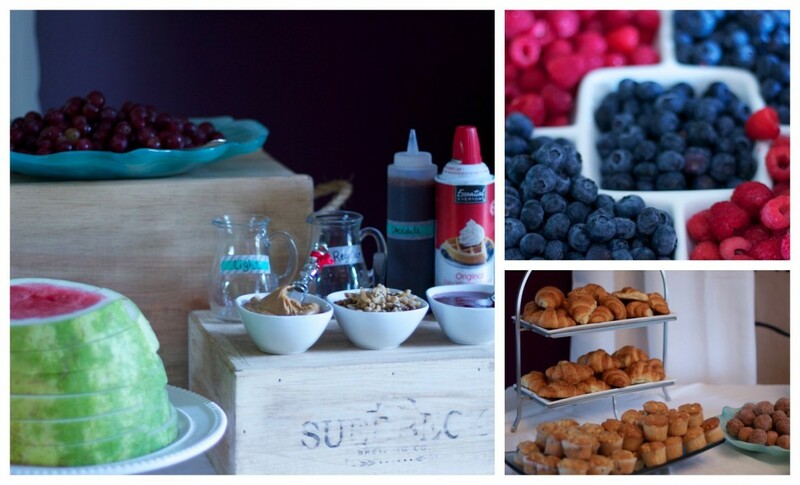 For guests who wanted something other than waffles, I provided croissants, muffins, scones, donut holes and cream cheese puffs. The table backdrop was extremely easy to put together. I took curtains from one of my extra bedrooms and hung them with 3M Command Strips. 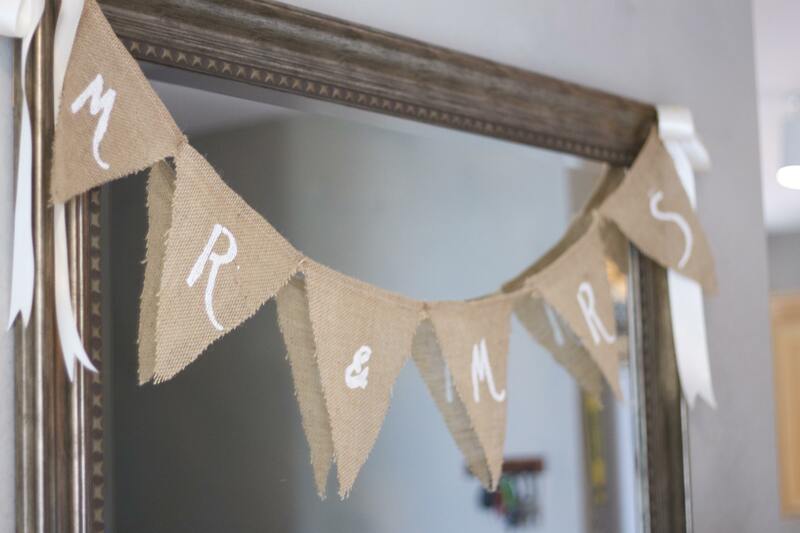 The middle section was made from a large roll of kraft paper that can be found at your local hardware store, and to complete the waffle bar backdrop, I strung additional Simple Strands bridal shower decorations along the top. 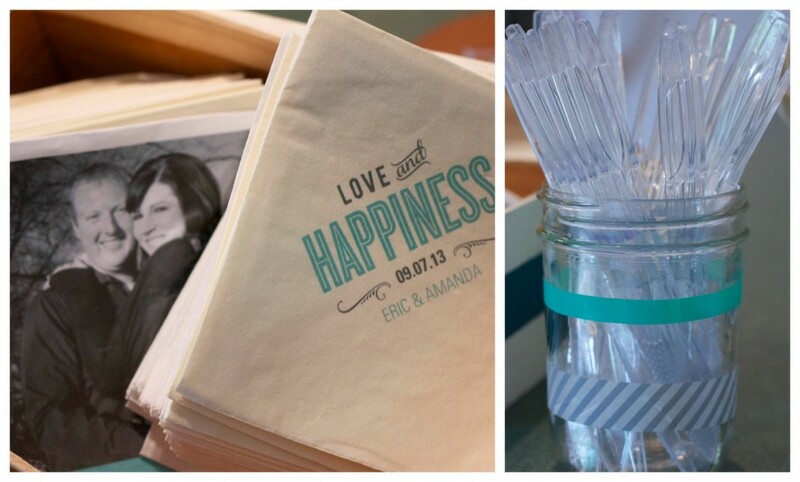 Other decorations included two different types of personalized napkins. What would a shower be without a few games? Along with life-sized Jenga, we played a quick game called, “He Said, She Said.” I asked Amanda and Eric questions ahead of time and picked one of their answers. Friends then had to guess who said what. 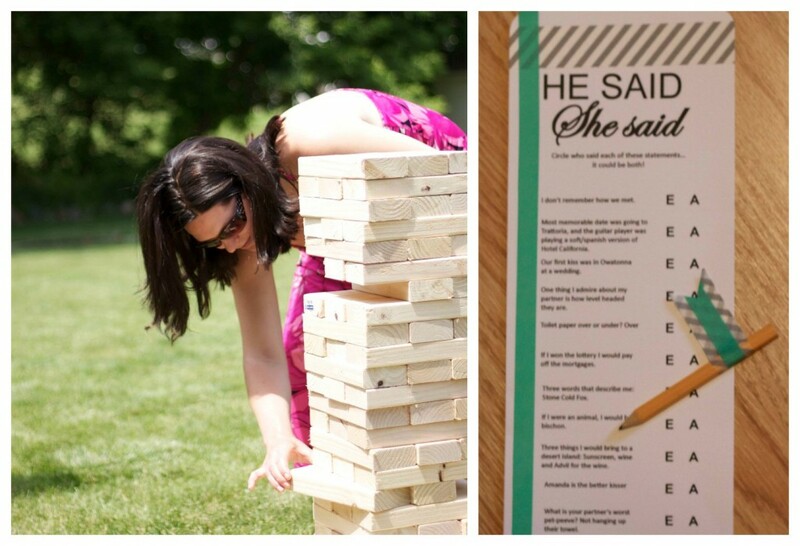 This was by far one of the best events I have had the privilege to put together filled with fun couples shower ideas. 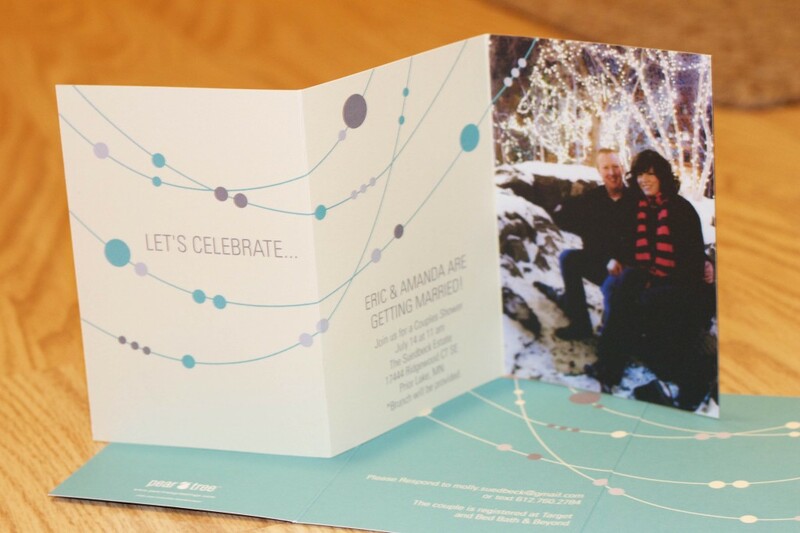 I wish the Amanda and Eric years filled with lots of love and happiness! 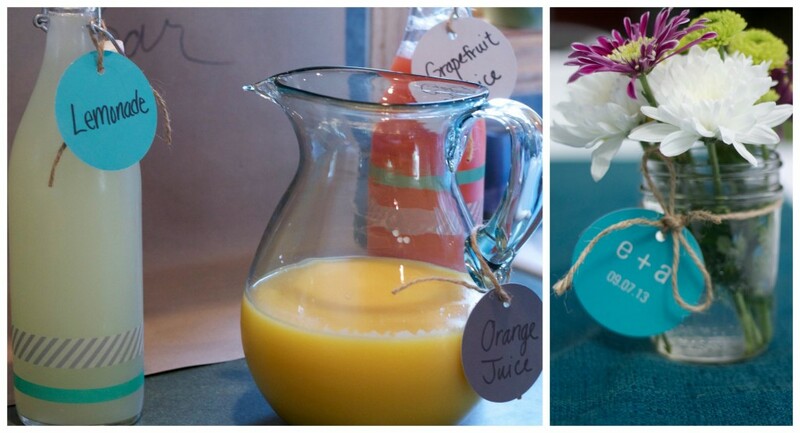 Check out our bridal shower invitations or keep reading our blog for more bridal shower ideas. 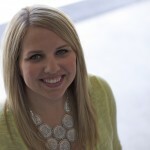 Molly Suedbeck is the creator of the party planning and DIY blog Suburban Events. 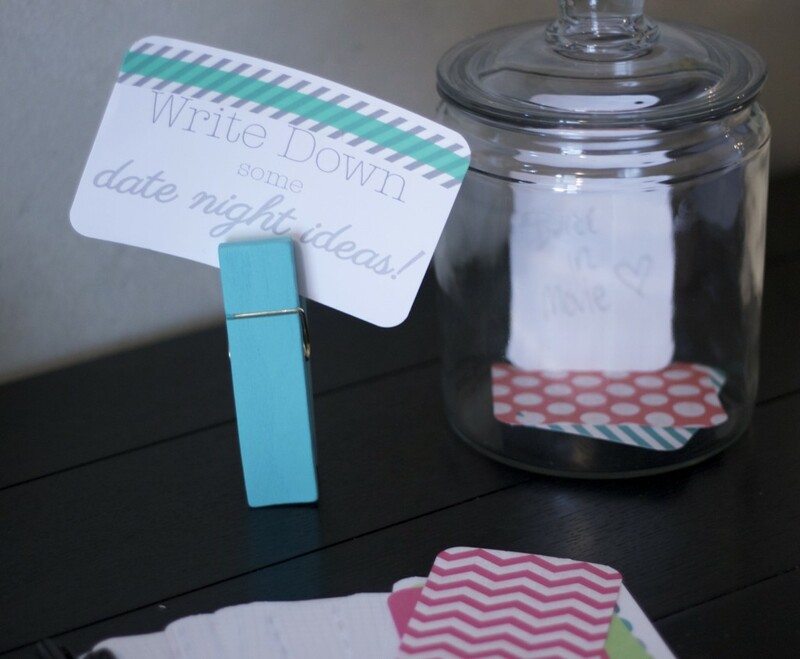 Molly loves to provide party planning inspiration, tips and details to help others plan their own events. Molly and her husband have a dog named Lily and keep busy with their three nieces. In her free time, she enjoys helping others plan their parties, working on DIY projects, and researching new ideas on Pinterest.